If the 20th century was about improving technology, the 21st century has focused on improving access to technology. Building connections and communication between people and technology has become a vital mission in many industries. Gone are the days when these connections existed simply through our computers or phones. We now have smart watches, smart cars, smart, er, cookie ovens. Given that science often leads our society in technology and innovation, it’s no surprise that this “Internet of Things” (IoT) movement is coming to the lab. IoT technology has the potential to improve how labs function, how researchers work together, and, most importantly, improve data and results. But it’s not uncommon to see analogue routines and equipment populating otherwise cutting-edge labs (yes, I mean that 25-year old sample freezer that has to be wedged shut with a chair). What will IoT products look like in the lab, and will researchers embrace connection with conviction? Whilst sharing data from large hunks of equipment with beefy processors is pretty commonplace in the modern lab, some biotech companies are setting their sights on a piece of equipment not normally associated with digital technology: the humble pipette. “When you look at the lab and you look at pipetting, it’s just something that people don’t give a lot of thought to, and they don’t realize how pervasive and ubiquitous it is” says Thermo Fisher Scientific’s Tommy Bui. We’re discussing his company’s latest foray into IoT tech, the My Pipette Creator App. Creator allows pre-programmed protocols to be downloaded to Thermo Fisher’s flagship E1-ClipTip digital pipettes. The protocols then pop up on the pipette’s built-in user interface and guide the user through the various pipetting steps. Why target the pipette? “70% of errors within an assay are pre-analytical,” says Bui. 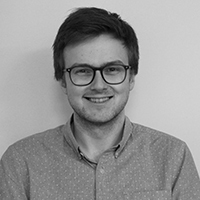 “So by, pre-analytical, I’m talking about experiment design and set up. This can involve volume and concentration calculations and transferring multiple liquids liquid into and out of a multitude of containers for example”. With Creator, researchers can try to minimize these errors by using Thermo Fisher’s pre-programmed protocols for common assays like qPCR. These protocols are part of an ever growing Protocol Library that users can access via the Creator app. Importantly, for researchers that have their own individual quirks and preferences, the Thermo Fisher-made protocols can be tweaked to your heart’s content “All these pipetting programs are digital, but once you have them you're free to edit them all you want. You can take it and share it across your lab. Let's say you did an experiment and got great results, you can share it with your colleagues across the world or down the hallway,” says Bui. 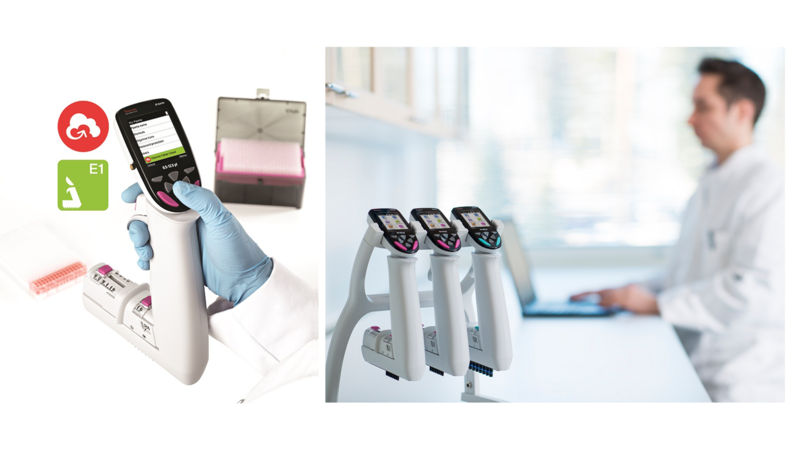 On a more practical level, Bui points out that the Creator app, which can be accessed through a laptop or desktop, will help users minimize the frustrations associated with electronic pipettes (like getting thumb strain from entering protocols onto a built-in screen). This, he says, should maximize the programmability of the E1-ClipTip. 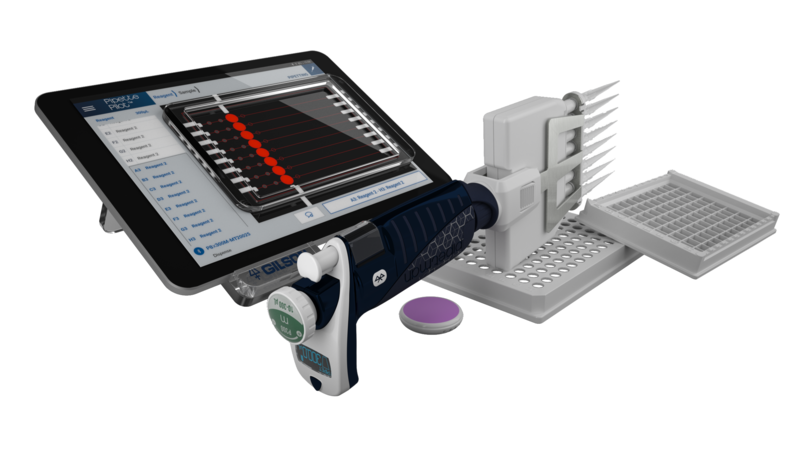 Gilson's PIPETMAN® M Connected and TRACKMAN® M Connected lab solutions. But changing mindsets about pipetting might only be the first step for IoT providers. Ultimately, this technology could go far beyond the most basic of lab techniques and could spread throughout lab activities. Bui mentions that Thermo Fisher has a vision for what he calls a connected lab ecosystem, supported by a digital science platform. If the pipette is the screwdriver of the lab, Thermo Fisher wants to eventually bring IoT to the entire toolbox. Bui sees a connected ecosystem as key to attaining these two goals: “If you buy into a Thermo Fisher ecosystem, front end to back end, with a technique like qPCR, and all the devices are talking the same language, and data's being automatically passed down from one device to the next, the user is doing a lot less manual interaction, which obviously improves efficiency.” Gilson also envisage their products as part of a platform that facilitates information flow between devices like pipettes and an electronic notebook, “We are planning for the Gilson Connect platform to power a full suite of Gilson IoT devices, so TRACKMAN Connected is just the first connected product of many,” DeCabooter explains.